While majoritarianism features as an element of numerous democratic regimes and often celebrated as a manifestation of popular sovereignty, it can be championed by populist leaders and foment polarization, undermine institutional performance and even entangle the process of democratic consolidation. It may contribute to a confrontational and inefficient democratic regime in cases of transition states where levels of social capital are low. The study of the Greek transition to democracy shows us that the dominance of populist majoritarianism can stifle pluralism, weaken checks-and-balances mechanisms, contribute to the consolidation of clientelism, foster corruption, deepen social divisions and weaken institutional performance. These have been among the key underlying factors for the profound political, economic and social crisis that has befallen upon Greece since 2009.The Greek experience can be highly instructive about the inherent risks of a majoritarian takeover in Turkey. Building up a "mild democracy" requires maturity of institutions, an efficient system of checks and balances and implementation control mechanisms. This could lead to a shift from a "zero sum" to a "positive sum game" approach in the resolution of domestic political disputes. Developing consensus and trust in societies torn by ethnic, religious and ideological divides is not a luxury but a permissive condition for democratic consolidation, institutional performance, social cohesion and economic prosperity. P.S. 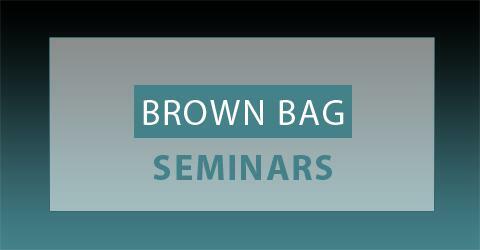 : You can click here to view Fall 2018 Program for Brown Bag Seminars.